Quick overview o How do nations escape poverty and achieve economic and social progress? Ian Goldin, a former vice-president of the World Bank, explains what development means in its broadest sense - encompassing education, health, and gender equality as well as economic growth. He discusses the shift from state-led strategies, to ones driven by market forces. What do we mean by development? How can citizens, governments, and the international community foster development? The process by which nations escape poverty and achieve economic and social progress has been the subject of extensive examination for hundreds of years. 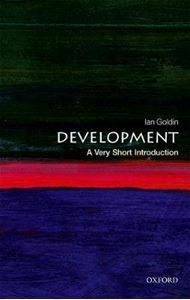 The notion of development itself has evolved from an original preoccupation with incomes and economic growth to a much broader understanding of development.